Our Heart Pot Holder design is one of our all time favourites and we have been blown away by all the wonderful comments we have had, and by the number of times the tutorial has been shared and pinned. We even had a sweet email from Verna Mosquera (who designed the pretty Pirouette fabric that we used in our tutorial). Thank you so much – our readers are the best! 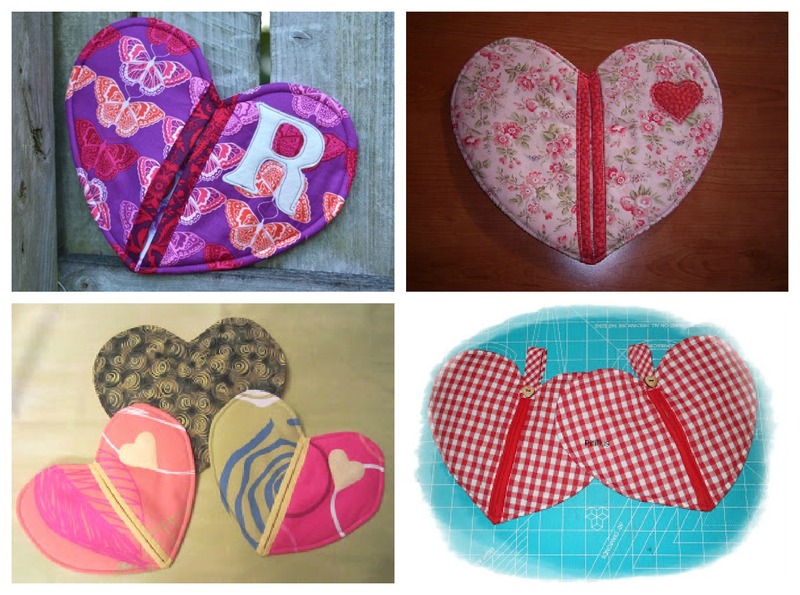 Check out these pretty pot holders (links below photo). The design looks so different with each fabric combination. 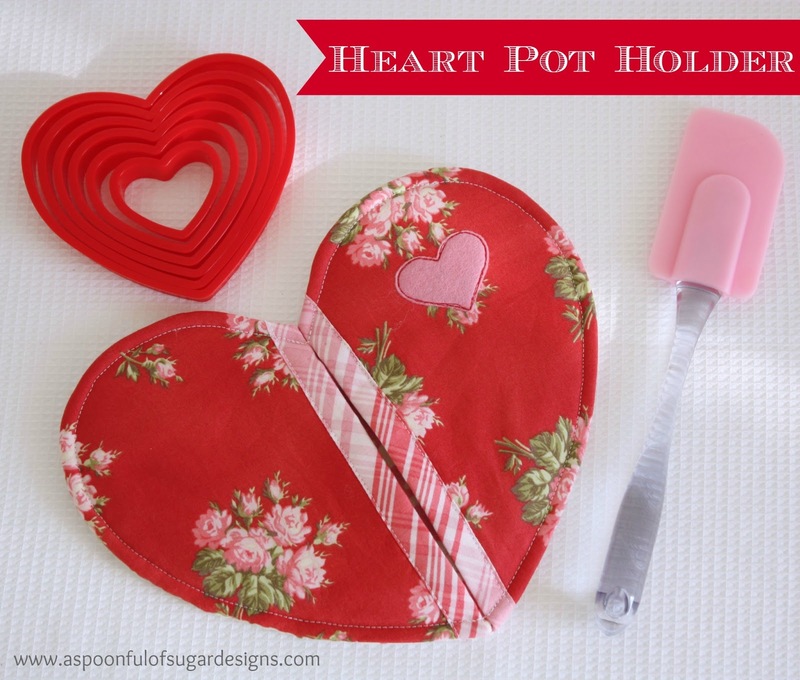 This is our original Valentine pot holder that we made back in 2011 which inspired our tutorial. If you would like to make you own, you can follow our step-by-step photo tutorial of our Pot Holder Pattern. Muchísimas gracias por el tutorial, ha sido un placer poder hacerlo!!! Estoy encantada con mi corazón, se ven todos muy bonitos!!! Un saludo y feliz día de San Valentín!!! So cute! Thanks for sharing! =) And I love that Eiffel Tower cookie cutter, I just find it hard to find a cookie recipe that is easy to use with this shape – did you know that there is also a Statue of Liberty cookie cutter? 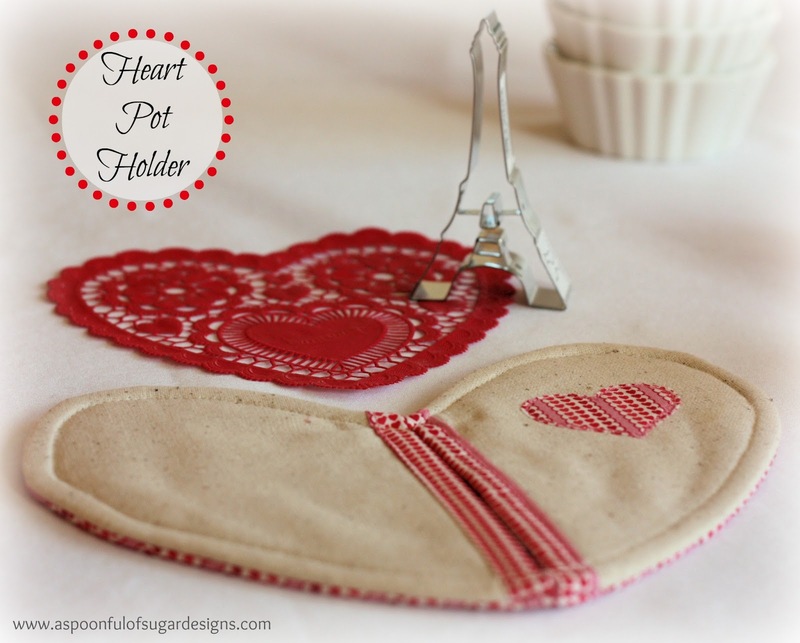 Thanks for linking our Heart Pot Holder to your round-up!